...there was no question in our minds as to who should play him, and give a performance filled with passion, integrity, and, yes, with homosexuality. 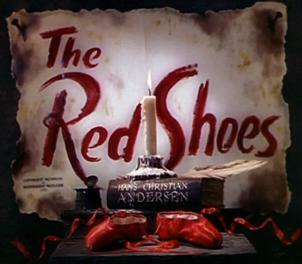 The evolution of The Red Shoes began in the 1930s, with a plan for a Nizhinskii biopic starring Paul Muni and Charles Laughton, and, later, a romantic melodrama intended as a vehicle for Alexander Korda's wife, Merle Oberon (whose dancing would have been performed by a double). War intervened, and the project resurfaced afterwards with renewed vigour - without Korda and Oberon, who had split up, and with real ballet stars in acting roles. The project retained strong echoes of the Ballets Russes, in particular the Dyagilev-inspired rôle of Boris, and in a plot echoing some of the personal and professional conflicts sparked by the marriages of Dyagilev's protegés Vaslav Nizhinskii and Leonid Myasin/Massine. 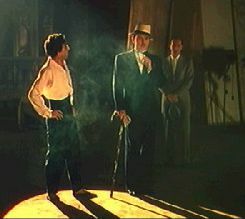 The latter even appears in the film as Grigorii 'Grisha' Lyubov, the choreographer and character-dancer. And the Polish girl who had assisted Nizhinskii with his choreography for Sacre de Printemps makes a cameo appearance as herself: Marie Rambert, one of the founding mothers of British ballet. ...we had all been told for ten years to go out and die for freedom and democracy, for this and for that, and now that the war was over, The Red Shoes told us to go and die for Art. Boris: Why do you want to dance? 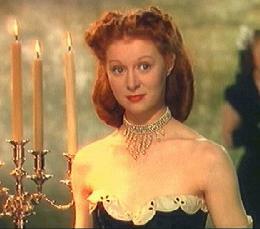 As Vicky, Moira Shearer, the Dunfermline-born ballerina, has a touching charm in her acting and dances magnificently. 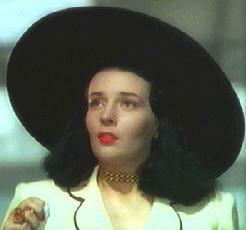 Her appealing screen presence combines glamour and youthful innocence (she was only 21 at the time of filming). Boris is convinced of Vicky's commitment when he sees her dance the rôle of Odette in Lac des Cygnes one rainy afternoon in the Mercury Theatre. This shabby, under-equipped place is the home of the Ballet Rambert: it has no orchestra, the music being provided by a faulty gramophone. But it is a true temple of the art, presided over by a woman who worked with Dyagilev and Nizhinskii. Vicky's ecstatic performance there proves to Boris that she has the potential for greatness. 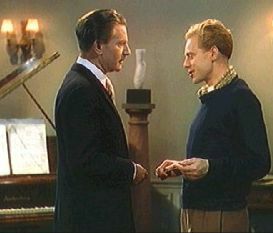 Boris also engages Julian Craster, an enthusiastic music student who contacts him because his tutor Professor Palmer had plagiarised the score of the company's latest ballet from him. Boris dissuades the boy from taking this further and publicly humiliating his tutor. He shrewdly observes that surely "it is far more disheartening to have to steal than to be stolen from": a lesson in magnanimity and nobility. In Paris, Julian is soon commissioned to work on a ballet based on Hans Christian Andersen's macabre fable The Red Shoes. Meanwhile, Boris sacks the scatterbrained but loveable prima ballerina Irina because she is "imbecile enough to get married" - something he regards as incompatible with true dedication to dance. We are taken through the progress of the ballet's creation to its successful first performance. Boris: And don't forget: a great impression of simplicity can only be achieved by a great agony of body and spirit. But as a result of working together on the ballet, Julian and Vicky become attracted to each other. Boris, with boyish enthusiasm, has already been sharing with Vicky plans for her future in all the great rôles. He has commissioned Julian to work on a new ballet for her, La Belle Meunière (thematically, surely a nod to Le Tricorne/ El Sombrero de Tres Picos, the ballet which Massine choreographed for Dyagilev, with music by de Falla, about a miller and his beautiful wife). He books dinner - rather than an expression of romantic interest, it seems more likely (given his character) that this is to tell her about this new project especially for her - something special, exciting. (After all,The Red Shoes had been in gestation before she and Julian joined the company, with a score by a South American composer.) But Vicky cannot be found. She is not even at Grisha's birthday party - but, as Ivan and the others reveal, has gone off for the evening with her lover... Boris is profoundly disappointed: she's let him down, let herself down. He had thought he had recognised in her a kindred spirit. It's also just a few months since Irina's dismissal: having just got a new leading-lady, he's going to have to go through the same again... After a quarrel, he dismisses Julian, and Vicky decides to leave with her lover. The main characters agonise over their choices. Boris wants to punish Vicky's failure to live up to the commitment she had at first professed, but he knows that she could still become a truly great dancer - so he cannot let his bitter disappointment ruin her career completely. 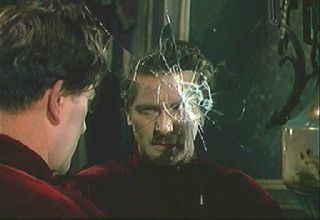 His better instincts triumph, after an inner struggle dramatised in the mirror scene. The only contractual restriction he places on her is over The Red Shoes: that ballet belongs to the company, and no-one else will dance it again. He seeks out and re-engages Irina, who has been living a glamorous but superficial life as a socialite, and has missed her old friends. She stars again in the company's new season, touring the world. But Vicky is unhappy. Once married, she becomes frustrated at the stifling of her own talent, while Julian is preoccupied with writing an opera, Cupid & Psyche. It is based on the Classical myth of the secret lovers Cupid and Psyche, who overcome the hostile plots of his mother Venus: is this how he sees his conflict with their parent-figure, Boris? For Julian, Vicky is an inspiring muse, not an active artist in her own right. We see her getting out of bed to offer emotional support as he works through the night. (She and Julian have twin beds - perhaps a comment on their relationship, rather than '40s film censorship: after all, in a similar scene in Dangerous Moonlight (1941), Carol got out of a double bed to find Stefan at work.) She frets over her pointe shoes, stored in a drawer. Some, pointing to the scale of the apartment, argue that this scene may be less a naturalistic depiction than a dramatisation of Vicky's perception of her situation. On the other hand, the size of the interior and the grand piano may suggest that she and Julian are dependent on her aristocratic family, perhaps living in a wing of her aunt's mansion. She will later say that she has been continuing going to class, and has danced some roles, but evidently nothing major; and the satin shoes in the drawer - including a red pair - are her souvenirs of her time with the Ballet Lermontov, not her practice ones. "Put on the Red Shoes, Vicky, and dance for us again!" Vicky: You left your first night! Julian: Yes - why didn't you ?! He demands that she return to London with him on the 8 pm train. She asks him to wait until after the performance, but he tells her that will be "too late": she must leave with him, before the performance, or their marriage is over. 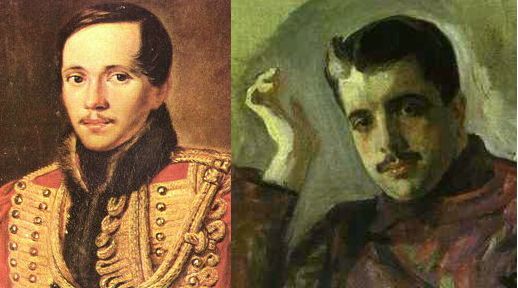 Boris then appears, and the two men quarrel, with Vicky in the crossfire. Boris [to Julian]: Would you be satisfied with anything less than the best? - If you would, you would never be a great artist - Perhaps you never will! She has to make a choice, and at first appears to do so, reassured by Boris. Then she panics, bolts, and plummets from a terrace in front of the train Julian is about to catch. As in the ballet, she asks for her red shoes to be removed, so that she can die in peace... Boris, grief-stricken, informs the audience. The performance goes ahead, with the leading role taken by a spotlight. Boris [on Ballet/Art]: ...For me it is a religion. And one doesn't really care to see one's religion practised in an atmosphere such as this. I hope you understand. - one is reminded of How often, amid a motley crowd..., while the poignant, dramatic mirror-scene evokes the atmosphere of Ennui and Sorrow! and the tragic protagonist of The Demon. It is vital for a 21C audience to remember that Boris is a Russian of a generation which knew that Art could kill. For some 30 years he has been an émigré, unable to go home, unable even to write home since relatives, friends or lovers who received communications from the West could be arrested. There's something oddly moving about the way he still has his tea made with a samovar, and drinks it through a sugar-lump: still maintaining the domestic habits of a Russian gentleman after 30 years in exile. (It's a lovely detail of acting by Anton.) The other older Russians have their own coping mechanisms: Grisha's playful chirpiness cloaks a sensitivity we see in his farewell to Irina and his reaction to Vicky's death. These are men without a country, probably still travelling on the Nansen passports given to refugees by the League of Nations in 1922. Ivan and Irina, from a younger generation of Russians, seem a bit spoilt - but then they're the children of émigrés. As Ludmila Tchérina did in reality, they would have grown up in straitened circumstances in White Russian communities, so they make the most of the material side of life now they've access to a bit of money and glamour. Given their home base is in Monaco, they would have been affected by the wartime occupation of France and the Vichy regime on their doorstep., and by the knowledge of the agonies of their own homeland. The company is a surrogate 'family' - Boris describes it as such - a safe space for people who are exiled from the mainstream by 20C history (as Russian émigrés) or (in some cases) by sexual orientation. And when Boris tells Vicky that he wants her to dance The Red Shoes with the ecstasy he saw in her only once before at the Mercury, there is a precise but untranslatable Spanish term for the concept he is trying to express: duende. It is this quality which she loses when she becomes preoccupied with Julian. It is also a word understood by a real-life hero, another inimitably stylish gay man passionately committed to theatre, poetry and dance; an artist and enabler of other people's art, for whom Art and Life were indivisible. Federico García Lorca is another of the ghosts from the front-line of Art who haunt the imaginative hinterland of the film's era - only 12 years after his murder by a Fascist firing squad. Boris's defensiveness hardly seems extreme in historical context. 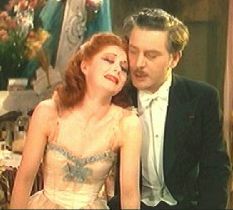 The Red Shoes makes a salutary change from much contemporary cinema, in which it is difficult to imagine the characters being capable of serious thought or having a life of the imagination. Too many films confuse heroism with mere machismo: moral/spiritual courage and integrity are what count, not sexual orientation or conformity with gender stereotypes. Too many films ignore the fact that one can be middle-aged, going grey, yet still retain a passionate idealism: being 'older and wiser' doesn't have to mean selling out, losing one's principles, and becoming cynical. 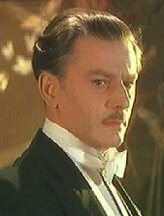 Boris is a film-hero with whom I can imagine talking happily for hours about art, beside the samovar: my ideal older brother. In fact, how people react to him has become another of my 'sheep-from-goats' (or perhaps here, 'swans-from-geese'? )** litmus-tests, since I cannot imagine having much common ground with anyone (male or female, gay or straight) who doesn't love him! You see, for me too, Art is "a religion". An art historian and historian, I spent the better part of a decade 'fighting the good fight' in spite of repeated job-rejections and the living on a shoe-string of intermittent short-term, part-time work and longer stretches of unemployment. But I survived it still believing, not having sold out or allowed myself to be utterly broken in spirit. By the time I found The Red Shoes again, it felt like a reward for coming through - a bit dented, but undaunted. When I think of my favourite moments, favourite lines from this film, I raise my head a little higher, walk a little taller, face the world a little more bravely. It's a film one grows into: you need to have accumulated your own battle-scars and grey hairs for the cause to get the most from it. Emeric, here's a posthumous thank-you for such a great script and characterisations - a thank-you for understanding! 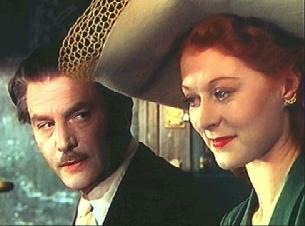 *The film originated as a pre-war script, and there is little direct evidence of the recent conflict. However, the women's New Look fashions and the name-checking of Jacques Fath's fashion house are hard to ignore as anchoring the story in the post-war period. **I am thinking partly of Lac des Cygnes, of Andersen's Ugly Duckling, and of his literary rival Kierkegaard's likening of the attitude of critics and Mundanes in general to "being trampled to death by geese".